Hyundai won the second-ever Driving Engagement Award from the Word of Mouth Marketing Association (WOMMA) at the 2014 Chicago Auto Show. The Walking Dead Chop Shop campaign was chosen as the most innovative social media campaign of 2013.
were blown away by the creativity, originality, and execution of Hyundai's Walking Dead Chop Shop. It allowed for maximum fan participation online, and it was a great experiential marketing element at Comic Con and other events," said Suzanne Fanning, President of WOMMA. "By continuing to engage fans with fun, effective marketing tactics like this, Hyundai will not only survive the Zombie apocalypse, they will definitely thrive in the industry." Hyundai beat out two other automotive manufacturers for the Driving Engagement award - Honda for their Project Drive-In campaign and Jaguar for their #MyTurnToJag campaign. 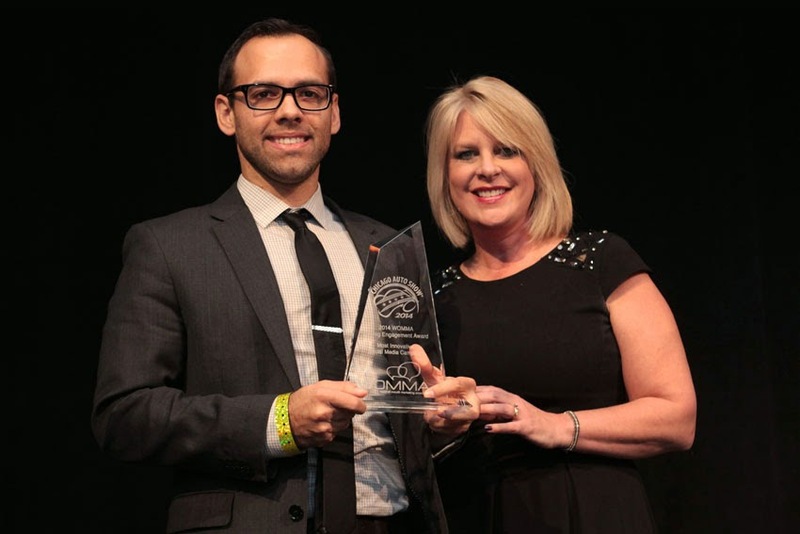 "We are honored and truly thrilled that The Walking Dead Chop Shop campaign has been recognized by WOMMA," said David Matathia, Director of Marketing Communications, Hyundai Motor America. "With help from the popularity of The Walking Dead franchise, Hyundai continues to expand the conversation around Hyundai vehicles with young and passionate audiences." "Social media provides an extremely human element to the marketing world, and it’s no surprise that word of mouth marketing drives purchase decisions," said 2014 Chicago Auto Show Chairman Kurt Schiele. "Our hats go off to the 'Driving Engagement' Award winner, Hyundai, and the runners-up for creating these particularly engaging campaigns." WOMMA is the official trade association in the industry dedicated to word of mouth and social media marketing.